Clarence Stanley Huff, 89, of Great Falls, passed away Sunday, September 2, 2018 at Apple Cooney Nursing Home in Helena of natural causes. A Memorial Service will be held Saturday, September 8 at 1:00 PM in the Rose Room Chapel at Croxford Funeral Home with Burial to follow at Manchester Cemetery. 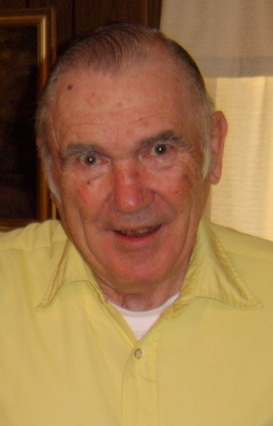 Clarence was born on August 13, 1929 in Great Falls to Orville and Helen Huff. In 1945 he married Delores Gooch in Great Falls. They divorced in 1960. He then married Shirley Skaggs in Coeur d’Alene, ID in 1962. They remained together until her passing in 2013, after 50 years of marriage. Clarence worked as a cook, starting his career at Shell’s restaurant in downtown Great Falls. He quickly became his own boss, running various restaurants over 60 plus years. He ran restaurants in the Mint and Lobby bars, and owned the Winner’s Circle and finally the Huff and Puff cafes. He and Shirley worked together, driving daily from Power to open for breakfast. Clarence was proud of the fact that he missed only one day of work due to bad weather in almost 30 years of living in Power. He was an avid horseman who loved raising and training thoroughbred horses. For more than 30 years he traveled to race meets throughout Montana and Canada. Survivors are daughters, Bonnie (Doug) Rugh of Vancouver, WA, Pamela (Ron) Brurud of Lewistown, MT; stepdaughter, Terree (Udo) Wozny of Great Falls, MT; sons, Darrell (Cheryl) Huff of Harper’s Ferry, WV, Michael (Carolyn) Huff of Astoria, OR; stepsons, Joseph (Patti) Skaggs of Las Vegas, NV, Bruce Skaggs of Great Falls, MT; sisters, Charlotte (Herman) Christensen of Helena, MT, Sharon (Tom) McEwan of Helena, MT. Clarence goes on to join his parents, Orville and Helen Huff; wife Shirley Huff; son David Huff; brothers, Butch (Clinton) Huff, Clifford Huff, Donald Huff, Leroy Huff, Orville Huff Jr., and Richard Huff.